Standing high above the Palace of Westminster in London, the clock tower commonly known as Big Ben is one of the most recognizable British icons. The clock tower has also served to symbolize the continued functioning of the British government, particularly in wartime. 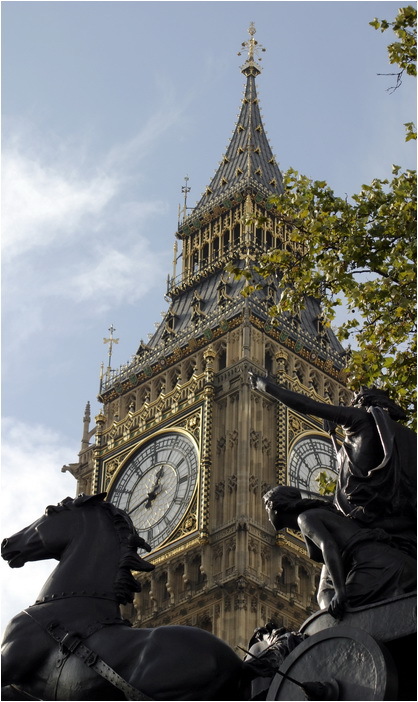 As one of the most accurate mechanical clocks at the time of its construction, Big Ben epitomized the United Kingdom’s leading position in the march of technological progress during the Industrial Revolution, and its completion marked an uptick in the evolution of clocks and timekeeping in Europe. St. Stephen's Tower is the official name of the structure. 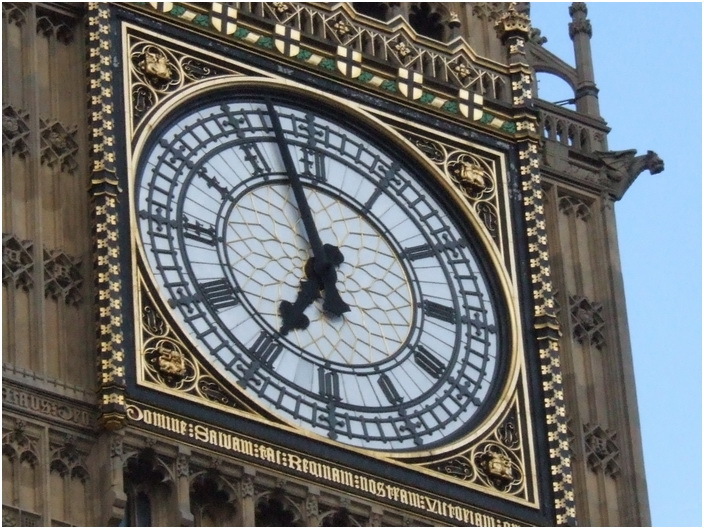 There are various theories surrounding the origin of the nickname "Big Ben," which was originally only given to the large hour bell. The most widely accepted is that it was named after Sir Benjamin Hall, the commissioner of works at the time of the clock tower's construction. Another popular theory is that it was named after Benjamin Caunt, a heavyweight prize fighter of the time who held the same nickname. In any case the name stuck, and eventually evolved to apply to the clock, and later, the entire tower. 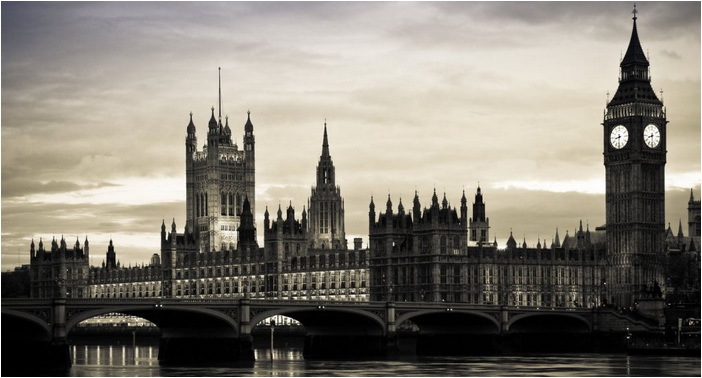 Big Ben occupies 40 square feet and stands at an imposing height of 320 feet. The clock faces are equally extraordinary for their size, measuring 23 feet in diameter with minute hands measuring 14 feet in length and hour hands measuring nine feet. 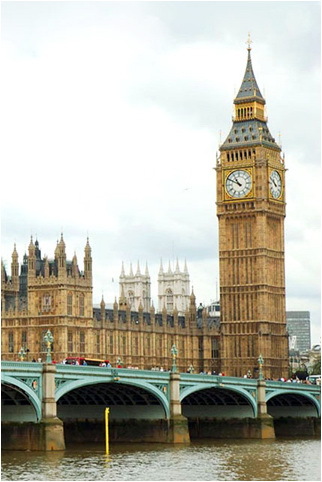 Though the structure itself is impressive, Big Ben's most important aspect is its symbolic status. For example, a light above the clock shines whenever the Parliament is in session, indicating the continued functioning of the British government. That symbolism was particularly notable during the Battle of Britain in the early days of World War II, as the clock tower remained undamaged and continued to operate in defiance of the endless waves of German bombing raids. Each of the clock's four dials is 221/2 feet (7 meters) in diameter, and the overall length of each of the hollow copper minute hands is 14 feet (4 meters). The clock, which is famed for its accuracy, seldom shows an error greater than one second. Ingeniously designed with a special gravity escapement that controls its pendulum, Big Ben remains a standard for accuracy in mechanical tower clocks. Today the monumental timepiece is one of London's best-known landmarks, and the deep pealing of its bell is among the city's most familiar sounds. Londoners and tourists alike know the neo-gothic Victorian skyscraper as Big Ben, which today is one of the main attractions of England’s capital.